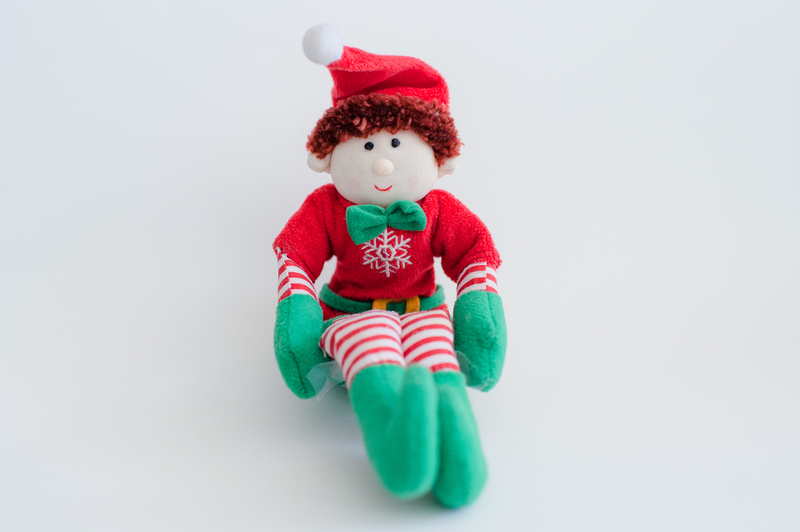 Meet our Elf – “Elfie”. He is no Elf on the Shelf. Sure he gets into plenty of mischief but he is loved and held. 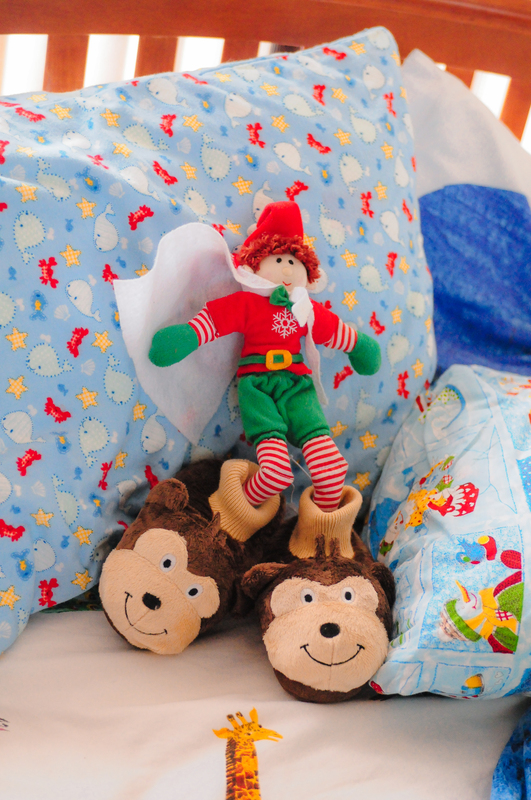 Santa sends him around the beginning of December and he returns with Santa on Christmas Eve. 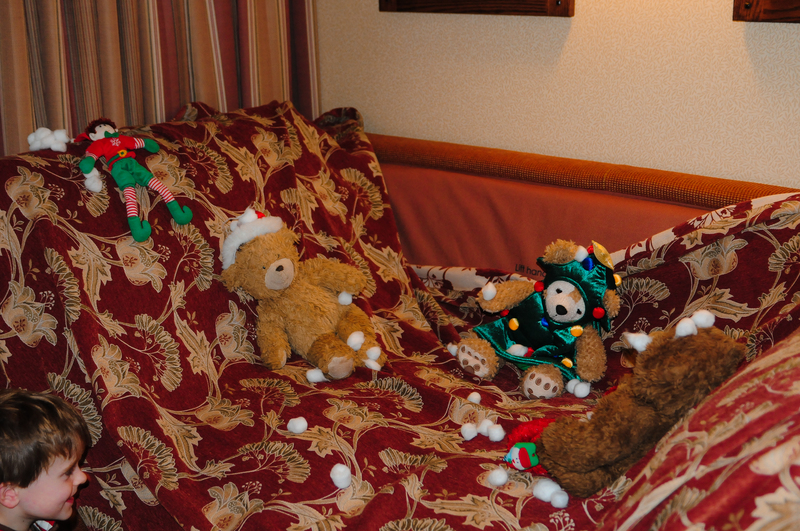 As much havoc as he creates, he is still cherished as part of our Christmas holidays. The following are some of his crazy antics from back in 2009. 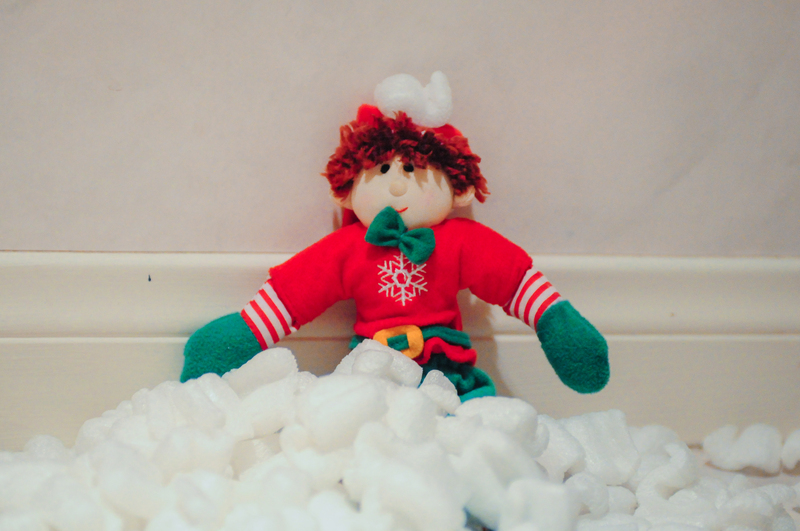 Whenever Elfie sees packing peanuts, he thinks he is playing in snow. We find them every where. 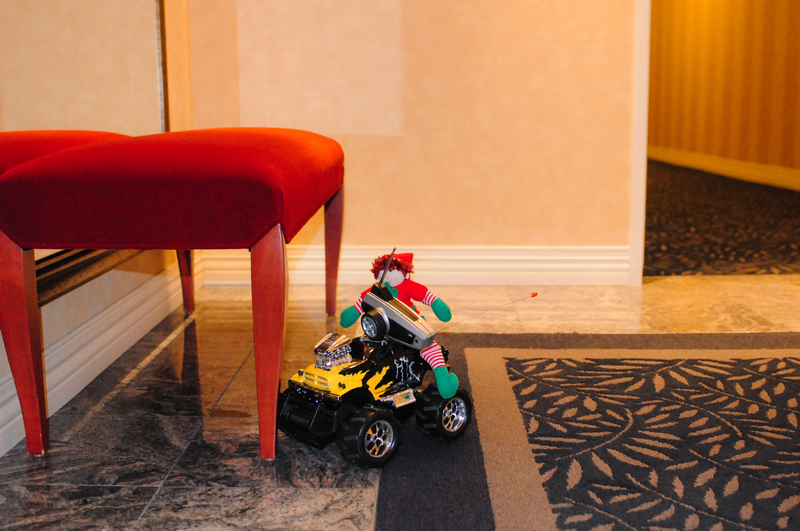 We found him driving Harry’s remote control car. He and Goofy decided to play Star Wars ships. 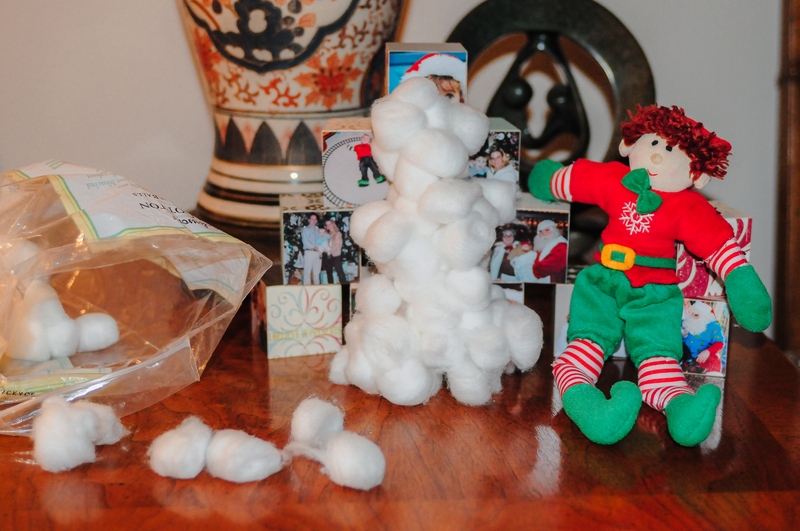 He got into my cotton balls and made a snowman. 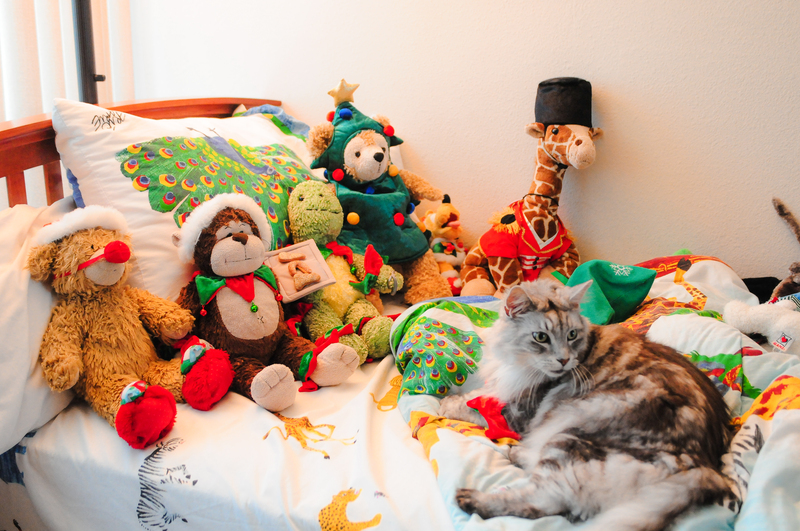 He dressed up all of Harry’s animals in Christmas themed attire. A “snowball” fight with cotton balls. 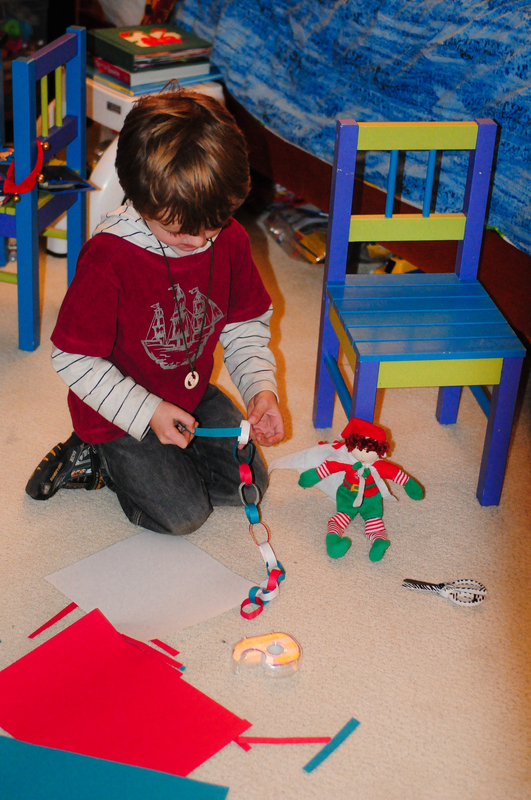 Elfie left a a mess when he decided to create a Christmas paper chain. 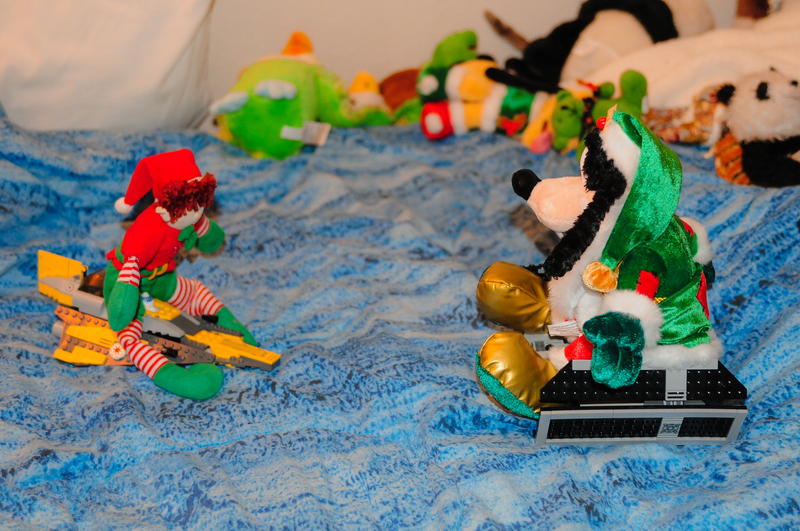 Our Elf seems to have a bit of a shoe obsession. He is always trying on different shoes and socks. 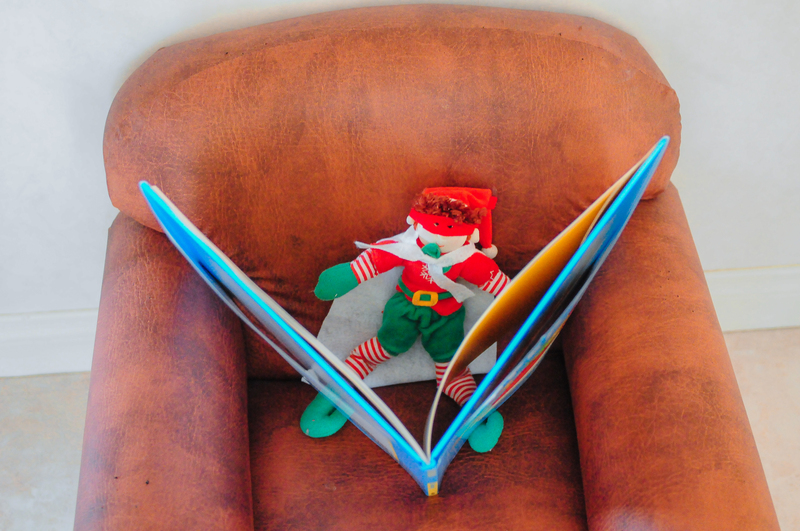 And then we found Elfie at my computer. 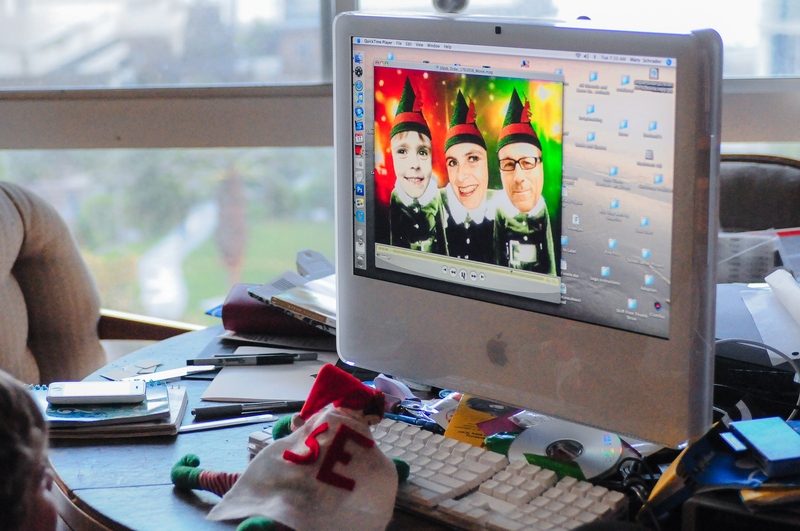 He created a ridiculous holiday video of us as elves. 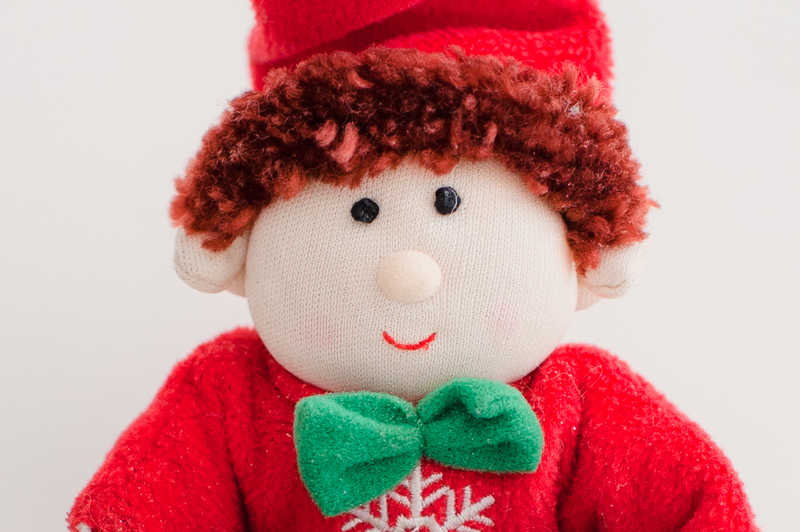 This entry was posted in Christmas, Elf, holidays and tagged Christmas, Elf by mabufive. Bookmark the permalink.